"Today the West is no longer sure of itself, has no moral courage, and is bereft of the spirit of sacrifice and cultural pride. That explains Putin's gamble, which is why China stands by diffidently as the U.S. and E.U. swing inanely between democracy and an impossible military response. Anguished over the Kremlin's daring move, the West has suddenly been transported back to 1962 Cuba - light-years from Obama's 2008 Prague magic." Former Ukraine Prime Minister Yulia Tymoshenko, who was one of the leaders of the Orange Revolution, has announced she is running for office again - a sour prospect for the Kremlin. How much time has passed since April 2009, when President Barack Obama, enthused after being elected, declared in Prague that he seeks “the peace and security of a world without nuclear weapons”? And how many seasons has it been since April 2010, when in the Czech capital, he spoke alongside then-Russian President Dmitry Medvedev, referring to him as a “friend and partner … who shares a commitment to cooperation”? How quickly America, Europe and Russia have worn out hopes for the post Cold-War era, with Ukraine having witnessed the first boundary violation in Europe since the fall of the Berlin Wall. Moscow's Crimea annexation has not only provided historians with an end date to the "post Cold War" era, it has exposed the strategic weakness of Washington and Brussels. They have underestimated Russia, crushed beneath a castle of lies about the USSR, the “Evil Empire” criticized by Reagan, thinking they could expand NATO and hold a dialogue with Beijing while ignoring Slavic history and pride without fear. In a book published by La Stampa in 1987 that would be worth publishing online, Caro Gorbaciov, caro Natta [Dear Gorbachev, Dear Natta], the great columnist and former communist Frane Barbieri argued against the ideas of Nobel laureate Aleksandr Solzhenitsyn. “The West will be defeated, because it persists in confronting the USSR diplomatically, failing to understand how the Russian people, hostile to the Soviet Communist Party and the Kremlin, are their real interlocutors.” Barbieri is skeptical about the messianic message of the author of The Gulag Archipelago, but the dilemma remains unresolved. America and Europe are incapable of engaging with either “the Russian people,” or the Kremlin. They overestimate Moscow, as the CIA did in 1978, even after scholar Hélène Carrère d’Encausse spoke of the “implosion of the Soviet empire,” churning out astonishing figures on the USSR's production of armaments. 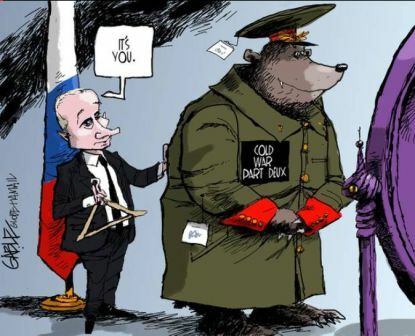 Or they don't take the Russian bear seriously enough, as with Putin, discounting it and facing a furious reaction. Neither Obama, nor the European Union, nor NATO, really know how to react to Putin’s attack against Ukraine. The 1994 Budapest Memorandums obliges the Americans and Europeans to preserve the territorial integrity of Ukraine (which was signed by Kiev in exchange for the removal of the Soviet nuclear arsenal). However, they oscillate between trying to bully and intimidate with sanctions - to little effect, and fearfully requesting that contracts for energy supplies be respected by Moscow, as German industrials have so shamelessly done with Chancellor Merkel (and with former Chancellor Schroeder working as Putin's lobbyist). NATO military chief General Breedlove warns that Putin is massing troops and tanks along the border with Transnistria. Other observers talk about Russian maneuvers on the border with Ukraine. Yet security expert Christopher Chivvis of the European Council of Foreign Relations confirms that a military response to support Kiev is impossible, and that it has been years since the Pentagon has even discussed such a contingency for fear of irritating Moscow. Europeans and Americans haven't had a common strategy since the fall of the Berlin Wall. In 2004, after the split over Iraq, the House International Relations Committee invited me and other analysts, including Radek Sikorski, who is now Poland's foreign minister, to discuss the Atlantic alliance. Rereading that debate, one is dismayed by the chasm that has opened. Europeans dream of prolonging the since 1945 status quo that has been lost. Meanwhile the Americans, deluded into thinking they can have an “pivot” to Asia, are incapable of covering two opposing frontiers. What remains of the lackluster Washington-Brussels alliance has been exhausted during negotiations on the TTIP - the Transatlantic Trade and Investment Partnership, where no agreement has been signed. This isn't because of tariffs or duties, which are easily negotiable, but because of opposition to cultural products, education, and the market. 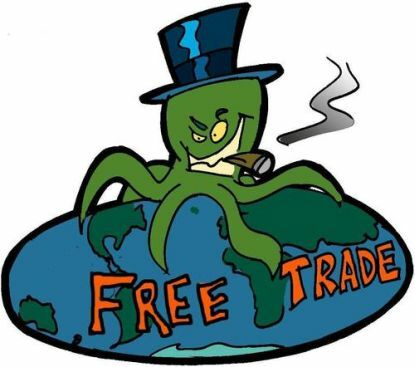 On Beppe Grillo's blog, the TTIP has been described as “pure madness,” and is depicted as an octopus with a top-hat and Havana cigar oppressing the world. In the U.S., anti-globalization activist Lori Wallach is certain that, “with the TTIP, they aim to kill us." Meanwhile, French philosopher Pierre Manent explains that distant manufacturers with access to cheap labor get lazy. Europe, heir of De Gasperi, Adenauer, Schuman, democracy, trade, and peace, used to be well aware of its shared values. 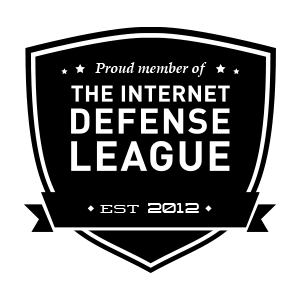 America, heir to Roosevelt, Kennan, Kennedy, democracy, trade, and security, was once equally rooted in its own tradition. Today the West is no longer sure of itself, has no moral courage, and is bereft of the spirit of sacrifice and cultural pride. That explains Putin's gamble, and is why China stands by diffidently as the U.S. and E.U. swing inanely between democracy and an impossible military response. Anguished over the Kremlin's daring move, the West has suddenly been transported back to 1962 Cuba - light-years from Obama's 2008 Prague magic.